Tough, demanding conditions on mining and construction equipment, drilling rigs, and on and off-highway equipment need a throttle control that is adjustable and stays put. The friction pad was formulated from a special material that gives the control the positive feel and settings needed, especially in an environment with vibration and contaminants. 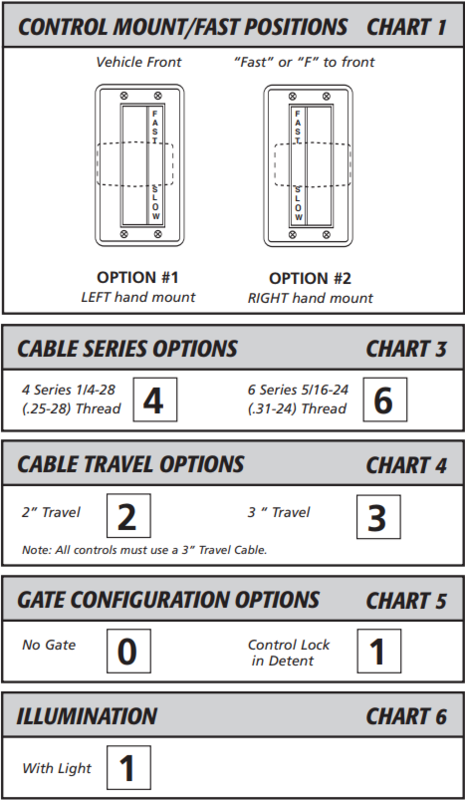 This hand operated control connects to a push-pull cable that is attached to the engine governor, or other apparatus needing variable control. 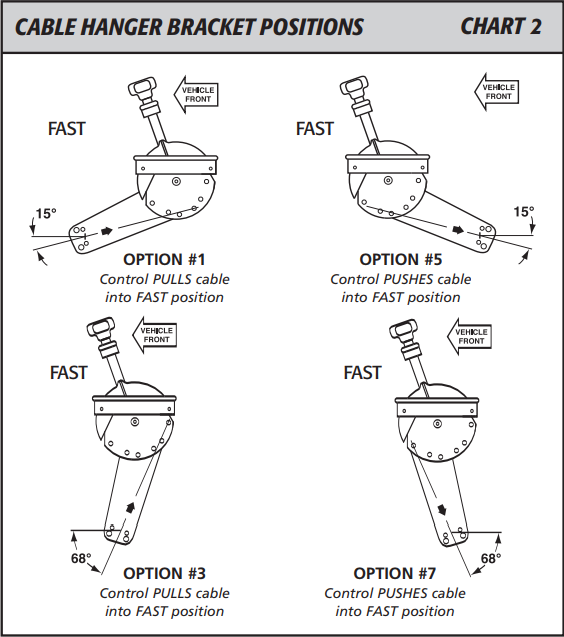 Follow the charts below to construct the ASSEMBLY PART NUMBER for your specific throttle control. First, choose the type of throttle control you need (first 5 digits). Second, choose appropriate options from each chart and place the option # into the appropriate coded boxes. When combined, you will have your ASSEMBLY PART NUMBER.